Over the period of last 10 years, the number of students opting for online educational programs has been constantly rising. Thus, keeping in view the interest of students in distance learning, here is a list of online apps & tools to facilitate and help students go through their learning process conveniently. Get the app that brings Schoology’s CODiE-award-winning learning management solution to your Android & Ios devices. Manage your classroom, create and submit assignments, participate in interactive discussions, perform assessments, collaborate with your peers, and more! Have rich and engaging academic experiences anytime, anywhere with the official Schoology App! Start today by registering for a free Schoology account. -Supercharge your chats with Add-Ins**: No more switching back and forth between apps. Easily share content using Add-Ins without leaving Skype. -Great for groups: Add your favorite people and start chatting. Use groups to plan together, play together, for staying in touch or just for hanging out. Your Ignou Guide” is very handy and feature packed android application which allows user to get all the academic informations, queries, news and updates about latest IGNOU University events in a blink of time without any hassle. It serve information to each and every student in very unique and personalised manner. 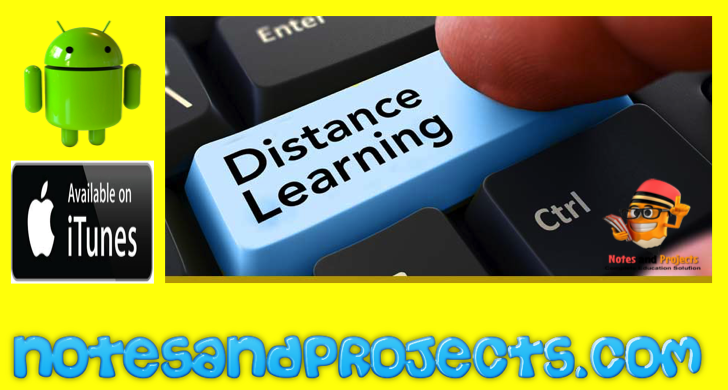 Name that comes to our mind after IGNOU is Symbiosis center for distance learning (SCDL). Symbiosis is among the few institutions in India which has been know for their program quality & teaching methodology worldwide. Symbiosis Centre for Distance Learning (SCDL) is one of the largest autonomous distance learning education institute in India, recognized by Distance Education Council (DEC), Ministry of HRD, Govt. of India. Currently the institution is having more than 2.5 lakhs of students in 48 countries including India, US, UK, Middle East, Russia, Germany, Singapore, Japan and many more. There is no app available for SCDL, but here is a direct link for SCDL website. IMT is among the top business schools in India. The institute is located in Ghaziabad, Uttar Pradesh, India. IMT offers its distance education programmes in management and information technology under IMT-CDL. The institute has been ranked No.1 by various magazines & news channels including DNA, Outlook, Competition Success Review, Zee News, Hindustan Times. The institute has its presence across the country. IMT also offers the facility to take lectures online & you can also appear in online exam. There is no app available for IMT-CDL, but here is a direct link for IMT-CDL website. If you’re in the market looking for a reputed distance education MBA course for yourself, chances are higher that you must have heard the name of Sikkim Manipal University many times from your friends, family or colleagues. Amity University is India’s one of the top ranked university offers distance education in management & technology to the masses in an affordable fee. Currently it is offering postgraduate, bachelor & diploma courses in management. you can read more about the courses & can apply for them online from their official website. LPU is a leading private university based in Pujab. It recently started offering distance mba through its various study centers. The curriculum of this university has been designed keeping the modern business scenario which is a plus point of this. It offers 2 year distance learning MBA program. Bharati Vidyapeeth Deemed University is a DEC, Government of India, New Delhi approved university offers various diploma, bachelor & postgraduate programme in management. you can collect Information Brochure (including Admission Form) from academic annexes located in our Institutions in Pune, New Delhi, Navi Mumbai, Kolhapur, Karad, Sangli and Solapur. KSOU is located in Mysore offered higher education programs through Open-distance learning system. It offered one year diploma courses & 2 year MBA programme under management course category. The courses are approved by DEC & it is a regular member of the Association of Indian Universities (AIU), Delhi & Permanent member of Association of Commonwealth Universities (ACU) London UK. There is no app available for Karnataka State Open University (KSOU), but here is a direct link for KSOU website. NMIMS a premier institute in India also offers a distance MBA course. All of the programs offered by SDL are approved by DEC, IGNOU, (New Delhi) Govt Of India. Currently NMIMS-SDL offering 14 programs. XLRI Jamshedpur also offer 12 months MBA course with a partnership of Hughes NET Global & Reliance World. The program is specially designed for working professionals with minimum 2 years of working experience after graduation. Currently XLRI offering 5 different program through satellite learning. The most prestigious management institution of India IIM e.g IIM Calcutta, IIM Lucknow, IIM Kozhikode, IIM Ahmedabad, IIM Indore also offers a MBA programs in collaboration with NIIT Imperia & Hughes Global Education. Read our post to know more about how to take admission into IIM. The University plans to provide access to higher education for large segments of population and, in particular, disadvantaged groups such as those living in remote and rural areas including working people, homemakers and other adults who wish to upgrade or acquire knowledge through studies. It will also make efforts to promote acquisition of knowledge in a rapidly developing and changing society and continually offer opportunity for upgrading knowledge, training and skills in the context or innovations, research and discovery in all fields of human endeavour. The Teerthanker Mahaveer University, established by an ‘Act’ (No. 30) of 2008 of the Government of Uttar Pradesh, and approved by the University Grants Commission (UGC). It Offers Learning Platforms in the fields of Medical, Dental, Pharmacy, Nursing, Para-Medical Sciences, Physiotherapy, Hospital Administration, Management-TMIMT, Computing Sciences & IT, Physical Education, Education, Engineering, Polytechnic, Law, Journalism, Fine Arts, Language Studies, Jain Studies, Directorate of Distance Education, Agriculture Science and Research Doctorate have been established to meet rising aspirations of the youth. In the present context the University known as Allahabad Agricultural Institute- Deemed University, is striving to acquire a place in the arena of International Science and Technology while holding a pioneering status in India. The University offers Twenty Eight (28) Undergraduate Programs, Forty Eight (48) Postgraduate programs, Eleven (11) Diploma programs, and Doctorates in various disciplines. The teaching and research faculties of the University have highly qualified professionals, trained in specialized areas of Agricultural Science and Technology with several of them holding Post Graduate degrees & Doctoral Degrees from universities abroad.